No two facilities are the same. VaCom recognizes this and thus delivers targeted or complete turnkey projects, tailored specifically to the customer’s needs. We are experienced and skilled in both central control systems as well as distributed architecture and design. Our systems software is delivered “open” and maintainable. The hardware is commercially supported and non-proprietary. We’re experienced in all commonly specified PLC brand used in food and beverage and cold storage facilities today. VaCom provides a complete control solution for large refrigerated facilities, combining the required power controls, electronic controls and control software to accomplish the required objectives. 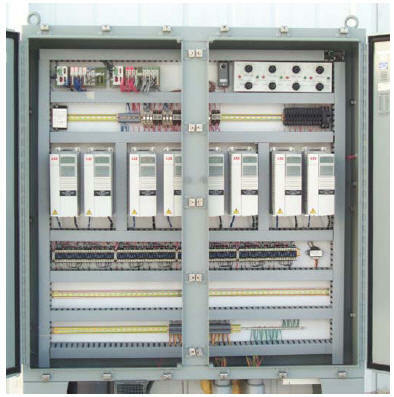 The system is flexible and scalable to meet individual site requirements and is delivered as an “open” system, along with variable drives and UL power panel integration. Our engineers also have programming and implementation experience with a wide range of packaged industrial control devices, including LonWorks, Allen Bradley, ComTrol, and others.